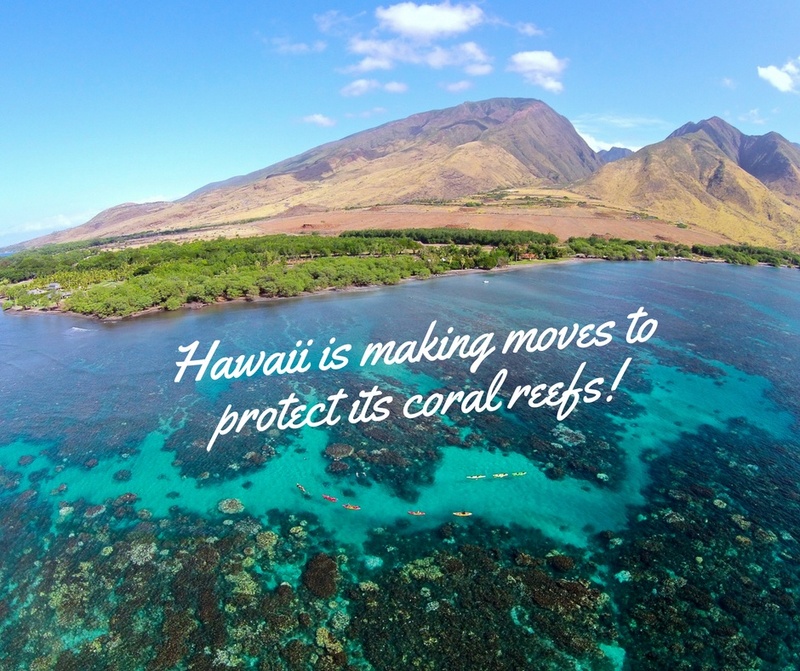 UPDATE: Hawaii has become the first state to ban the sale of reef damaging chemicals oxybenzone and octinoxate! The ban will go into effect in 2021. Sunscreen is a necessity here in Hawaii. It’s incredibly important to protect your skin from the sun’s harmful UV rays, and to protect against sunburn and skin cancer. But did you know, your sunscreen might be killing coral reefs? Most sunscreens contain a chemical called oxybenzone (also called Benzophenone-3 or BP-3). Along with octinoxate and butylparaben, oxybenzone is considered extremely harmful to coral reefs. Not only is oxybenzone harmful, but it is toxic at very low concentrations. In fact, just one drop of oxybenzone in 6.5 Olympic swimming pools can induce coral stress. Just one drop of oxybenzone in 6.5 Olympic swimming pools can induce coral stress. While stress may not seem like a big deal, it can be deadly for corals. One of the worst side effects of coral stress is coral bleaching. Bleaching occurs when the symbiotic algae that provides food for corals are expelled from the coral’s tissues. These algae not only provide corals with food, but also give corals their beautiful colors. Thus, when the coral’s algae are expelled, it leaves behind the bare, white coral skeleton. Without algae, corals will eventually die from starvation. Oxybenzone can increase the risk of coral bleaching. Bleached corals can eventually die from starvation. Coral bleaching is a huge issue when you consider that corals require very specific conditions to stay healthy. 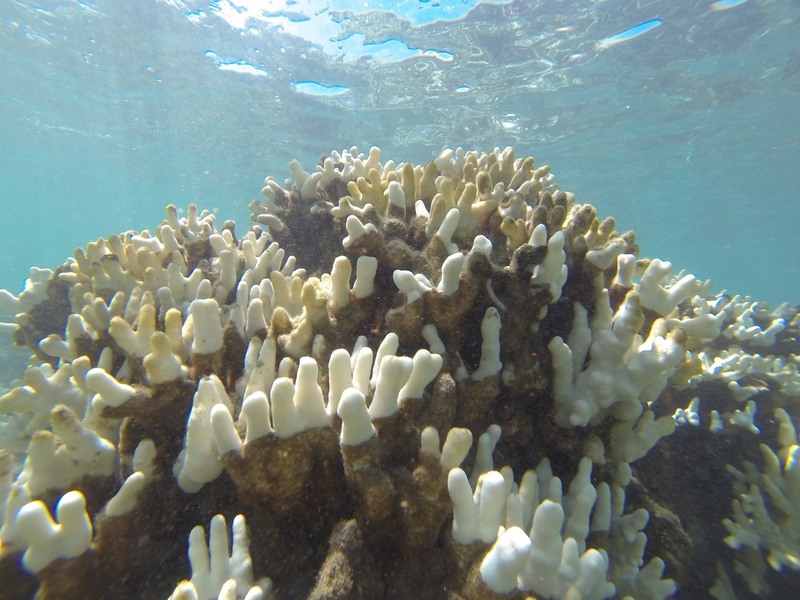 Warming ocean temperatures, changing wave patterns, and chemical pollution can all increase stress on coral colonies and result in bleaching events. 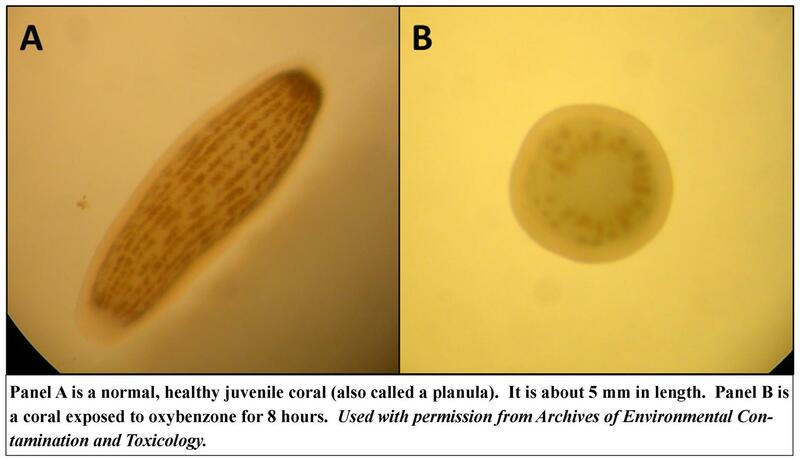 In addition to coral bleaching, recent research has found that oxybenzone affects the ability of baby corals to grow properly. When exposed to oxybenzone, juvenile corals become horribly disfigured, and can even encase themselves in their calcium carbonate skeletons. Oxybenzone furthermore hampers reproduction and the ability of baby corals to settle and grow new colonies. Essentially, oxybenzone leads to what scientists have dubbed “coral zombies”. The scary thing is, these side effects don’t just apply to coral. High levels of oxybenzone have also been shown to cause reproductive harm in fish species. Toxicity aside, oxybenzone is also considered a semi-persistent pollutant. As a semi-persistent pollutant, oxybenzone may break down over time, but it is continuously added to the ocean environment as it washes off swimmers and beach goers. This non-stop input of oxybenzone into the ocean eventually increases oxybenzone levels. With consistently elevated oxybenzone levels, fish and corals are unable to ever overcome oxybenzone’s toxic effects. 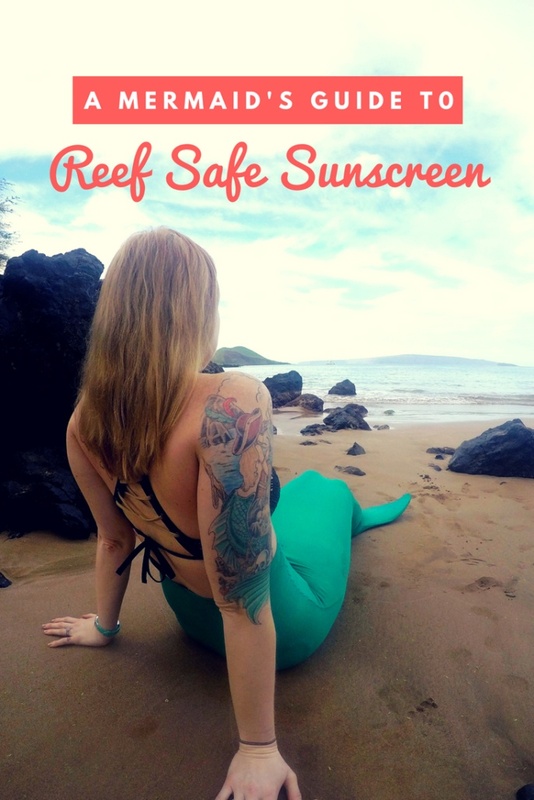 An estimated 4,000 – 6,000 tons of sunscreen are deposited on reefs every year. 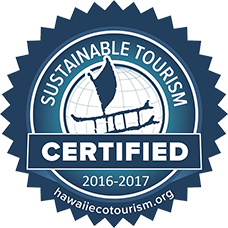 55 gallons of sunscreen enter Maui’s marine environment each day. 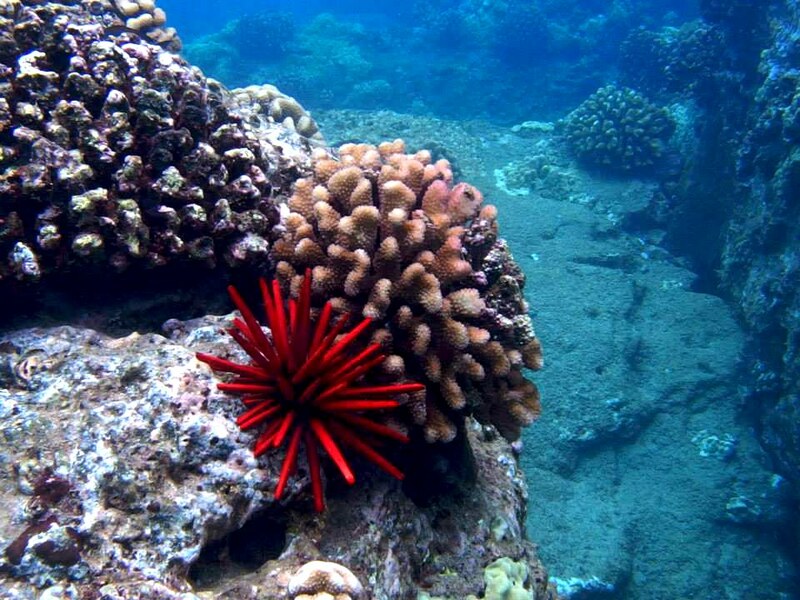 Thousands of people enter Hawaii’s ocean every day – whether to snorkel, SCUBA, surf, or swim. The majority wear sunscreen, most of which contains oxybenzone. Since oxybenzone is one of the most common active ingredients in commercial sunscreens, it’s easy to say Hawaii’s fragile coral ecosystem is facing a huge risk. To combat the negative impacts of oxybenzone, many coastal areas are taking preventative action. Marine eco-parks in Mexico, for example, have banned the use of sunscreen containing oxybenzone as a way to prevent further coral damage. Coral reefs are one of the most biologically productive ecosystems on the planet – providing a home for thousands of species. Protecting the world’s coral reefs is therefore critical to maintaining the health of our oceans. Unfortunately, sunscreens are negatively impacting our reefs – both here in Hawaii and in tropical locations around the world. Luckily, there are a number of ways that you can help improve the health of our coral reefs. 1) Make sure your sunscreen is Reef Safe! Avoid using sunscreens with oxybenzone as the main ingredient. 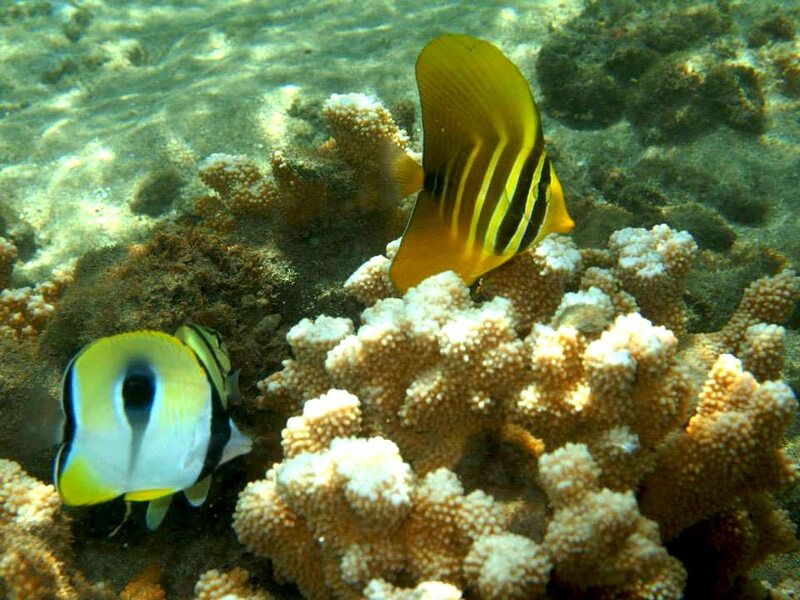 Instead, choose products with non-nano zinc oxide – a much safer choice for humans and the reef. Non-nano zinc oxide won’t clog pores and creates a physical layer between you and the sun just like a rash guard. Here are a couple of suggestions that our guides and guests have tested and recommend. 2) Opt for long-sleeves, rash guards, hats, and other protective wear. Clothing and hats reduce your need for sunscreen. Rash guards are also a great way to prevent UV damage, especially when you’re enjoying the water. Most rash guards range from SPF 35 to SPF 50. They’re readily available at local shops on Maui and can make great souvenirs. 4) Be an informed consumer. Never forget, you have incredible power as a consumer! You can change the world just by choosing to spend your money wisely, and not purchasing sunscreens with oxybenzone. The drastic necessity of banning oxybenzone, and the implications of its effects on our fragile ecosystem, cannot be taken lightly. We must take big steps to ensure that the lovely corals and tropical fish that depend on them will be enjoyed for future generations. Like it? Pin it and spread the word!